Jonathan R. Ksiazek is a highly successful trial lawyer who represents plaintiffs in civil rights cases involving police misconduct and illegal employment practices, in addition to nursing home abuse and neglect matters. Jonathan has vigorously pursued a large variety of police misconduct claims that include wrongful detention, false arrest, excessive force, malicious prosecution, and wrongful death. In the employment context, Jonathan represents employees who have been discriminated against because of their disability, race, gender, or age or retaliated against for complaining about discrimination. Jonathan has also successfully represented clients who have been terminated because they filed workers compensation claims, employees whose union breached its duty of fair representation, and public sector employees who have been removed for their position for political reasons. Jonathan joined Ed Fox & Associates, Ltd. in 2009. Jonathan truly enjoys helping his clients, and it is his passion for justice that brought him to the legal profession. He is a skilled and effective litigator who makes all efforts to obtain the most favorable results for his clients. While Jonathan develops each facet of his clients' cases with the intent to proceed to trial, his thorough investigation and research allows him to negotiate favorable settlements for his clients at all stages of litigation in both state and federal court. Jonathan has achieved a number of outstanding results for his clients in both settlement and trial. One particularly outstanding result Jonathan achieved was in an employment case where he obtained summary judgment against a union for a breach of their duty of fair representation when they failed to timely seek raises for nineteen of his clients. Jonathan is a graduate of both the University of Illinois College of Law and Northwestern University. When he attended law school at the University of Illinois, Jonathan was a member of their Civil Rights Clinic and conducted a three-day long prisoner rights trial in the Central District of Illinois. Jonathan also has participated in and coached the mock trial programs at Northwestern University and the University of Illinois. Jonathan was admitted to practice in the State of Illinois in 2008 and is admitted to the United States District Court for the Northern District of Illinois, the United States District Court for the Central District of Illinois, the United States District Court for the District of Colorado and the United States Court of Appeals for the Seventh Circuit. 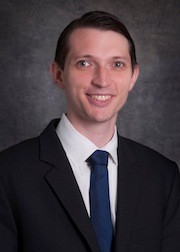 Jonathan has successfully litigated cases in the Illinois Human Rights Commission, the Circuit Court of Cook County, the Central District of Illinois, the Northern District of Illinois, the Seventh Circuit and numerous other courts across the country. Jonathan is a member of the Illinois State Bar Association, the Chicago Bar Association, and the Chicago chapter of the National Police Accountability Project.